It can be hard to live in the moment when we’re always juggling tasks, scheduling activities, and playing catch-up. 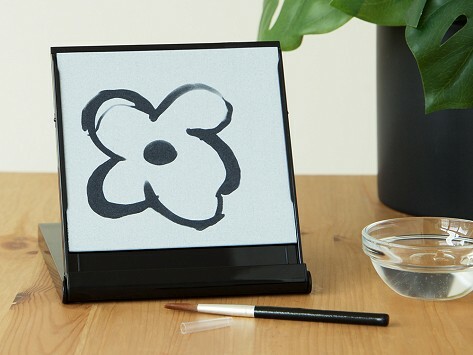 The Buddha Board lets you slow down, let go, and savor the enjoyment of creating. The inventor is Eric Thrall, who envisioned a way to help people embrace the Zen concept of mindfulness. His drawing board is both a meditative product and a doodling tool. 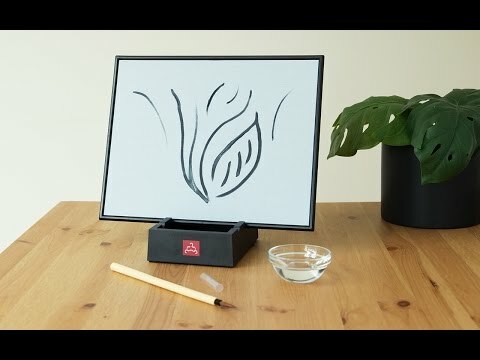 When you paint on the Buddha Board surface with water, the image darkens. As the water evaporates, the artwork slowly fades. What’s left is a blank slate—literally and figuratively. When the water disappears, so do the feelings and emotions that went into the artwork, leaving the artist with a clear mind, Eric says.